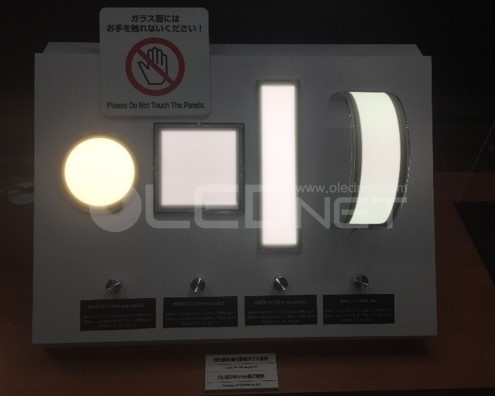 OLEDWorks, an OLED panel lighting production company, is carefully opening the future lighting market with diverse future product lineup. At the Light + Building 2016 (March 13-18), OLEDNET could observe OLEDWorks’ 6 types of Brite FL300 series, Brite Amber, Keuka module and others. The products showed 10,000-50,000 hours of lifetime, average efficiency of approx. 50 lm/W, CRI of 80-90, and with diverse color temperatures. 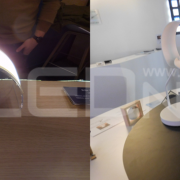 The OLEDWorks representative at the exhibition told OLEDNET that the company is aiming for general lighting market and the OLED lighting market will be actively open after 2-3 years earliest. 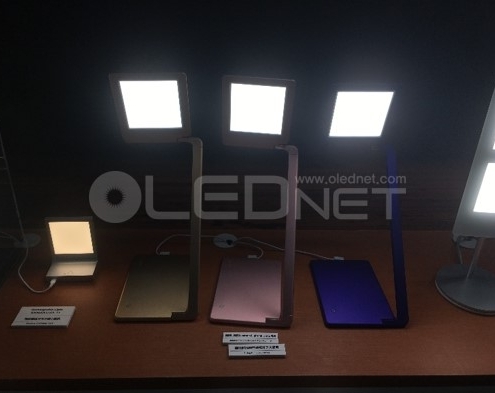 OLED lighting has advantages of thickness and design freedom, and they estimated finding the killer application that can utilize these OLED merits is the key for the OLED lighting’s success. 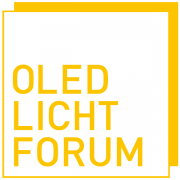 Through an interview with OLEDNET and his presentation during the OLEDs World Summit (October 27-29), OLEDWorks’ co-founder, chairman and CEO David DeJoy discussed OLEDWorks’ vision and OLED lighting. OLEDWorks hit the headlines in April this year when it was announced they would acquire key OLED assets and relevant intellectual property from Royal Philips whose main OLED product is Lumiblade. This acquisition was finalized earlier this month, taking this relatively small but already dynamic player within the OLED lighting industry to another level with plans that include continuing production in both Germany and the US, and expanding the product portfolio. 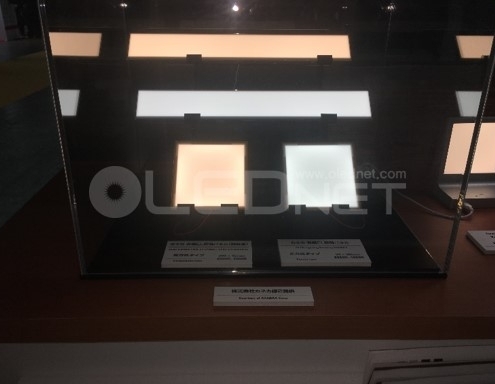 As the world’s first area light source, OLED lighting is naturally diffusive. As the light is uniform without flickers, the glare and eye fatigue is minimized. Although it is similar to LED in that it is a solid-state lighting, OLED produces little heat and color temperature can be easily adjusted. With its thinness of the panel and no need for extra installation space, OLED lighting can bring forth new design perspectives and applications. During his talk, DeJoy commented that OLED will bring the light closer to the user and will deliver a better light experience in diverse settings including patient rooms, recovery rooms in hospitals, retail, and museums. 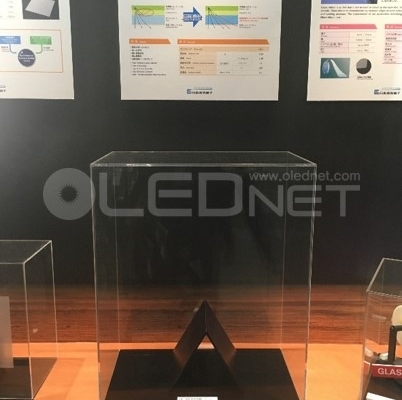 Although customer response to OLED light quality is extremely positive, DeJoy acknowledged that it is facing many challenges in entering the lighting market and divided the strategy to overcome this into “the four ‘A’s”: awareness, adaptability, availability, and affordability. The ‘awareness’ includes education about the technology and benefits, as well as confidence in the OLED lighting technology reliability. The effort to build the OLED lighting awareness includes government partnerships such as DOE Funded Gateway Projects, and NYSERDA Demonstration Projects. Designers and architects are also increasingly turning to OLED for inspiration and source material. 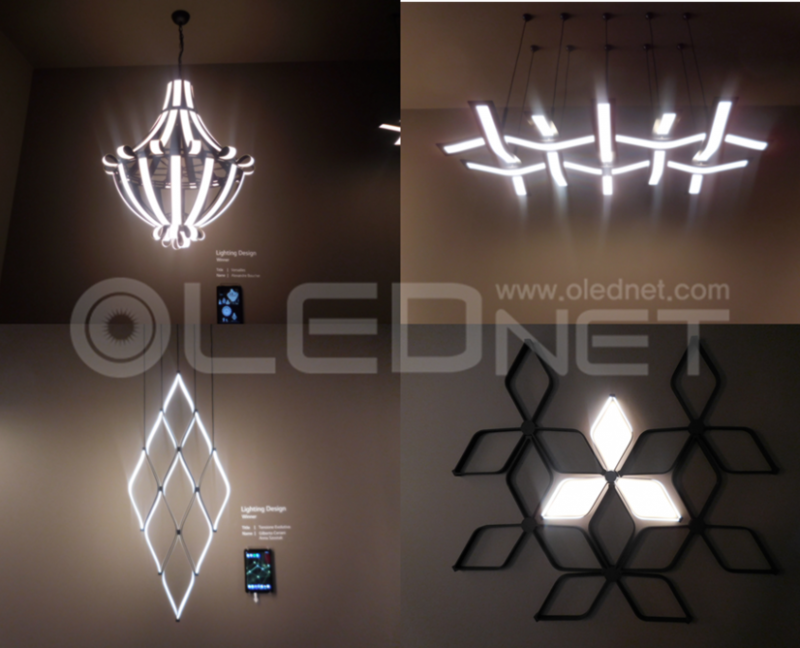 OLED lighting’s previously mentioned advantages are closely linked to the second ‘A’, ‘adaptability’. Its thinness, lack of heat, and no need for additional installation space mean that OLED lighting can easily be integrated into fixtures and used as a building material by being directly mounted on surfaces. On the subject of ‘availability’, DeJoy emphasized that more luminaire and final products should become more available to specifiers. He added that there are many in product development but they need to get into the hands of the end user. 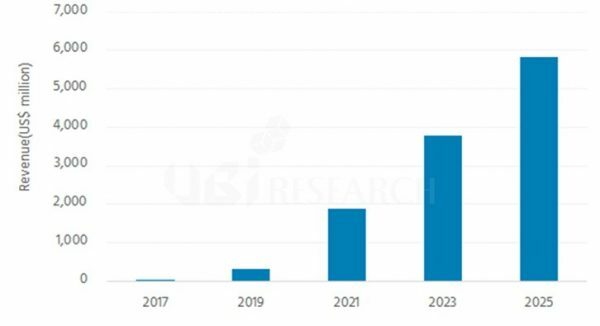 Discussing the ‘affordability’ of OLED lighting, DeJoy used OLED panel cost scenario published by the US Department of Energy which estimates that the panel price will continue to fall to reach US$10/klm, which corresponds to approximately US$100/m2, in 2025. 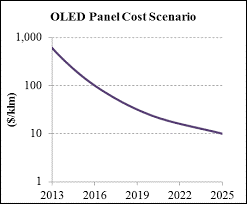 DeJoy added that when examining the affordability of OLED lighting, the total cost has to be considered. For example, OLED lighting does not require heat sink or extra installation cost. Also, many applications do not need very high lumen output with focused beams; “it is not all about $/klm”. 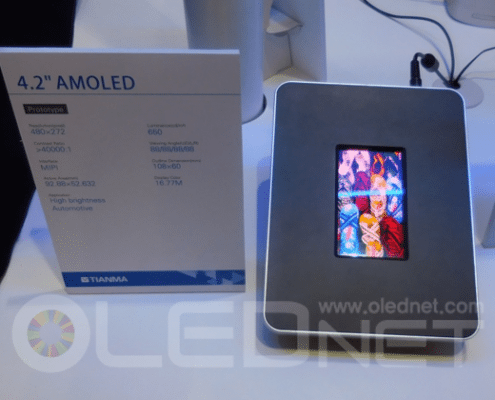 DeJoy explained that OLEDWorks long term goal is making OLED lighting adaptable and available, making it easier to change the lighting when it is broken, and be user friendly. He reported that OLEDWorks will continue to expand the product portfolio, which now includes Lumiblade, for “increased performance, additional form factors, and additional CCT options, while reducing product costs”. DeJoy also added that this is “akin to the LED evolution and consistent with the U.S. Department of Energy forecast”. 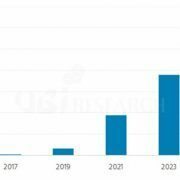 With their proactive and enthusiastic approach to the OLED lighting market, the industry is watching OLEDWorks with great interest. 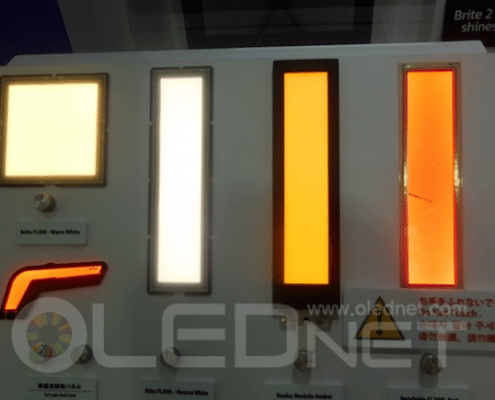 OLEDWorks’ effect on OLED lighting market is expected to be significant.